The United Nations calls on Russia, Iran and Turkey to forestall a battle in Syria's Idlib province that would affect millions of civilians and could see both militants and the government potentially using chlorine as a chemical weapon. UN Syria envoy Staffan de Mistura said there was a high concentration of foreign fighters in Idlib that includes an estimated 10,000 fighters designated by the UN as terrorists, who he said belonged to the al-Nusra Front and al-Qaeda. "We all are aware that both the government and al-Nusra have the capability to produce weaponized chlorine." 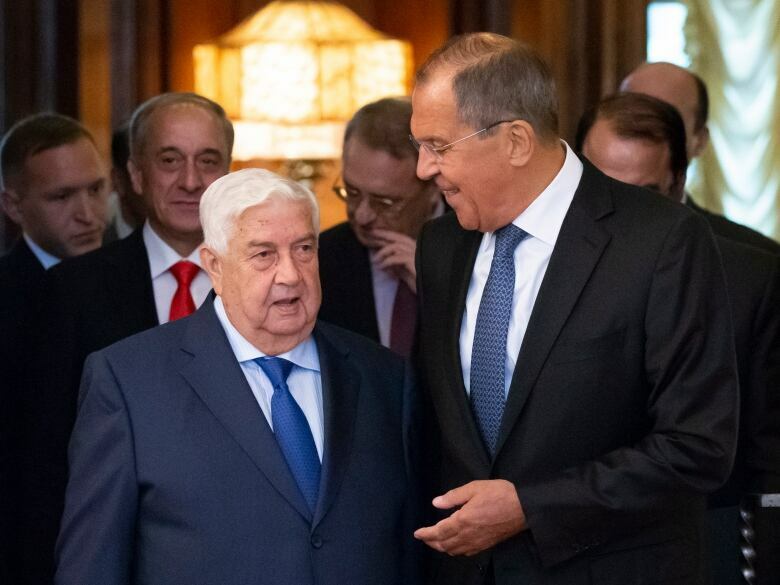 Syrian Foreign Minister Walid al-Moualem, speaking during a meeting with his Russian counterpart Sergei Lavrov in Moscow on Thursday, said: "We are at the final stage of solving the crisis in Syria and liberating our whole territory from terrorism. Moualem said Syria would "go all the way" in their efforts in Idlib, but would try to avoid civilian casualties. But a source said Wednesday that Russia's ally, Syrian President Bashar al-Assad, was preparing a phased offensive there. Lavrov said on Wednesday that militants in Idlib had to be liquidated, describing them as "a festering abscess." The potential battlefield contains two crucial roads — transport arteries between major Syrian cities that the Syrian government argues must be made safe. De Mistura asked if it's necessary to create a "worst-case scenario" just to secure Syrian government access to the roads.